Walk, bounce and fly with the SlacklifeBC Sky Flyer highline Kit. This kit includes everything you need to rig a 45m highline. Choose to go bigger with more webbing! Buy a highline kit and save 5% on the webbing! Test your skills and your nerves with the "Higher Slackline Kit". 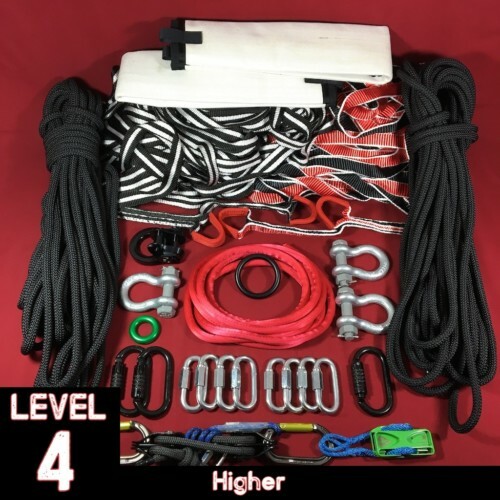 The final level of the SlacklifeBC Progression Plan, the Higher kit is a complete highline setup allowing you to rig a highline up to 45m long on either Skypilot of Tantalus Webbing. 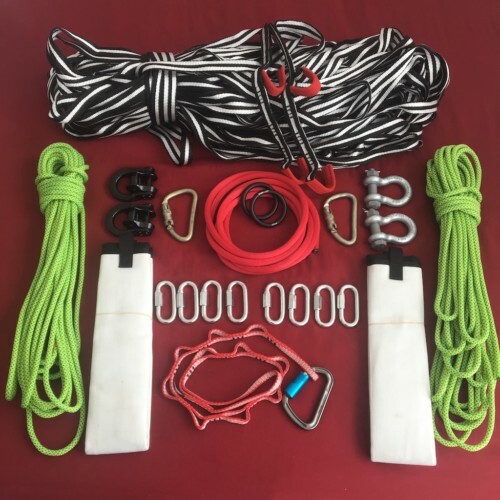 This kit includes and makes use of every piece of equipment from all the previous levels and leaves you prepared for any slacklining situation from walking in the park to flying in the air.